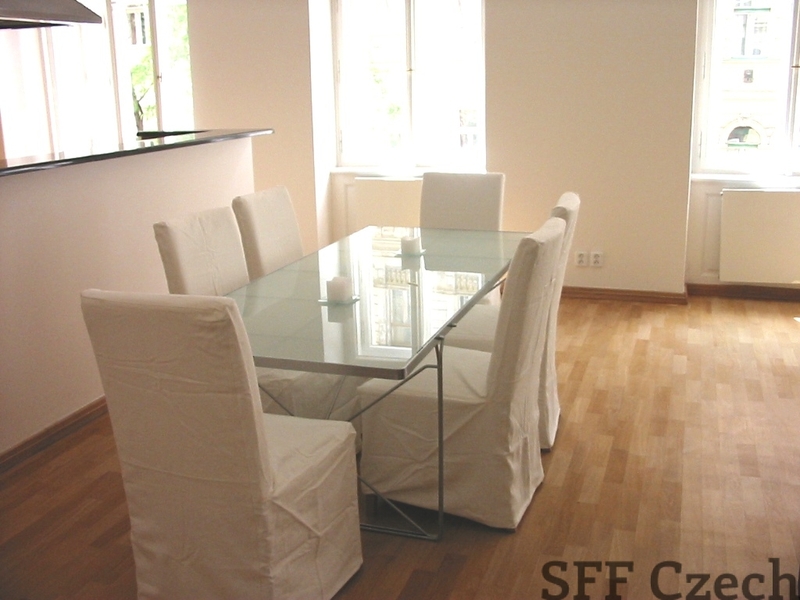 The long term rent of unfurnished duplex apartment in the desired locality of Vinohrady, Praha 2. Luxury apartment is situated in the ground floor and first floor of historical building in street Manesova, Praha 2- Vinohrady, which is just 5 minutes walk from Wenceslas Square, metro station Muzeum (green line „A“), tram stop. 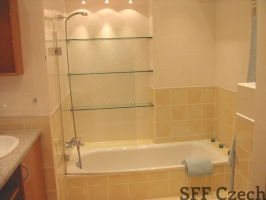 Flat of the size 3+kk (113 sqm.) consist of two separate bedrooms, living room with kitchenette, 2 bathrooms, one separate toilet and balcony. Very beautiful, sunny and spacious flat with fully equipped kitchen. Equipment: satellite and internet connection, gas cooking hob, electric oven, refrigerator, dishwasher, washing machine, video entry phone. Riegrovy Sady park is immediately behind the building and which contains a swimming pool, athletics track, restaurant and two children playgrounds. Good access to public transport. Close to all amenities. Monthly rent: 38.000 CZK + utilities estimate app. 2.600 CZK. 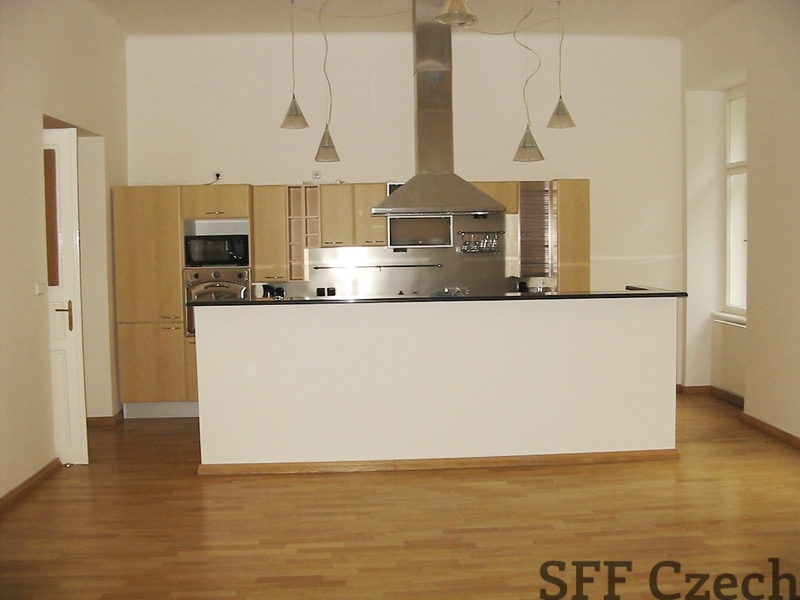 Posibility of garage for extra payment 5000 CZK /month.